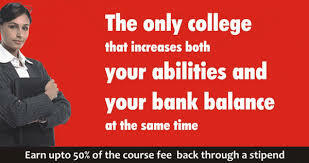 At WLC College India we believe in staying ahead of the times. Therefore, we provide professional training throughout the course duration. Our traineeship programme ensures that the student attains complete knowledge and develops the desired skills with respect to the industry. All of the WLCI Students are placed in some of the most reputed companies and are in high demand, globally. WLCI Placement and Traineeship cell guarantees that you are positioned in a company that best fits your skill set. Development of your skill set is part of the agenda at WLC College India. We not only impart knowledge based education, but we also focus on developing job based preparation. A course in search marketing effectively equips professionals of digital marketing in the power of search. This could be their marketing strategy’s core drive. The course covers in details all modules pertaining to SEO, PPC marketing techniques, Web analytics. All these subjects boost the skills of the digital marketer in planning and implementation. It’s got everything to make you a successful Digital Marketing professional. The course lectures are delivered by highly experienced faculty in the field of Search Marketing. Their real life experiences and case studies shape their lectures. This course is aimed to prepare you in taking up higher roles in the digital marketing domain. Educational qualifications for different fashion design careers vary greatly. But one should keep in mind that school is not the only source that one needs to pass in order to get success in the industry. Though educational background is one of the prime factors for employers, applicants must also have inherent qualities in order to be proficient with their jobs. Today Fashion Design can be divided into three main categories that include Garment design, Accessory & Jewellery design, and Leather design. The fashion industry in India is now evolving and since it is still in its nascent stage, it offers ample of opportunities for enthusiastic, talented and hardworking youngsters. Scope for fashion design graduates and post graduates are attractive owing to the huge and ever growing demand for “designer wear” equalled by large volume of exports. Fashion Designing is a very striking pitch which requires candidates to possess nifty and inimitable artistic ability to conquer success and create sensation in this fashion era. Apart from the natural skills theacquiredskills would entail qualification from a respectable, recognized fashion Design Institute. One can opt for either a full-time course or a part time certificate course although majority of applicants usually pursue courses in fashion designing after 10+2 level. The pre-requisite for applying for admission in fashion designing college is to be an intermediate or 12th passed. Therefore the onset of the race in fashion designing and admission into a reputed fashion institute begins straight after school and subjects like drawing, fine arts, painting, and computer graphics will expand your creativity. Furthermore, this does not restrict the students who are graduates or with higher qualification to apply to such courses as there are quite a few short-term certificate courses that are made accessible by the same fashion school for super specialization, on part-time basis. These courses equip the students with technical and creative thinking skills. There are large numbers of institutes in India offering graduate and post graduate course in fashion designing. Post completion of these courses, it is feasible for students to get worthwhile jobs with superior fashion designing firms and top fashion magazines. Currently there are various institutes in India that offer coaching for fashion designing in India so that the students have an ease to access to reference and study materials for their tests in prominent institutes like WLCI. The aspiring students are suggested to go and take part in classes at a coaching centre before their exams. It is imperative to pursue career in fashion designing from a recognised institute for fashion designing course. At present there are many good options across the country. A well-known fashion design institute would have industry experienced faculty, industrial preparation proviso, high-quality infrastructure, conductor of campus fashion shows, good reputation in the fashion sector and a fine dealings with its alumni. To conclude, fashion designing is a demanding career and as fashion designers one needs to synergise one’s imagination with executive skills to survive in the industry. Thus, if you can create sensational designs, colours and shapes, then just head for a professional course to start a roaring career in the space of fashion designing. Graduation is our first step toward a mature world of growing up professional peoples and thus we would need to think seriously about things. This is the time when most of the students feel changes in their thoughts and they see life in a different way. This second phase of your life brings lots of changes and a transition shift from student oriented life to career oriented life. This phase of maturity required some good decisions from you pertaining to your career. Learning is a lifelong process which never ends, if you love acquiring knowledge and skills then there are so many educational programs which can help you in it, but if you are thinking about your future then it is time to think about your interests and choose a best one year diploma Courses after Graduation. Here I am sharing with you some popular Courses after Graduation that will help you to choose your career and you can enhance your skills and knowledge. One year diploma courses after graduation are perfect way to enter into the professional world and it is in favor of students who are cautious about their future. In other words, diploma courses are important to develop professionalism in student and also, these courses provide detailed knowledge about specific subject which is the most important part of business. Although, there would be choice of so many Courses after Graduation but it is recommended to choose what you prefer and not what other people are suggesting. The WLC College is a premier institute for fashion designing and graphic design. The college has created distinguished professionals in these fields for the last 2 decades. With its headquarters at Noida the college has a Pan India presence with branches across ten major metropolitans including Mumbai, Kolkata, Delhi, Pune and many more. The college adheres to its principle of putting practical learning an equal dimension for successful growth as theoretical lessons. This is why the college started its Earn while you Learn program. The program offers a unique opportunity to students to work as inters in leading Multi-national corporate. The internships are paid internships which also help the students to support their course fee. Most of our students have reported that such training has helped them grasp concepts and classroom lessons way better than traditional classes in previous courses or school. Most of the students give a positive feedback and say that the training has helped them to be more confident and productive during their fre4sher years than most of their peers. WLCI Fashion institute is a provider for fashion designing courses in India. The college has well the most distinguished faculty and all infrastructure and equipments for effective learning of techniques and skills. The faculty and administration understands that practical knowledge is the key measure to create designers with the right set of experience and skills set to win the competition that exists in the industry today. The abject teaching standards which earlier prevailed are now pushed at the backend as lucrative institutes like WLC College take up the stage. WLC College has been instrumental for getting students trained with established fashion designers and fashion houses alongside the course for apprenticeship. This exposes the student to real life situations, performance pressure and target achievement. Most of our students have acknowledged the fact that the experience provided at WLC College has been crucial in helping them standout and also build a network of colleagues to gain future business opportunities. They also report that traineeship opportunities are non –existent for most students studying fashion at most colleges and thus builds a great portfolio along with 2 years worth experience. This mostly benefits and puts them as preferential candidates at job opportunities. The WLC College is renowned private institute for management, fashion designing and Graphic Design courses. The college achieved a critical acclaimed for its ‘Work and Learn’ program and the ‘Employers Council’ platform. Both these initiatives were taken up by the institute to address and abase the issue of un-employability of the students in the industry. Indian faces a dire need to upgrade the quality of education for Indian students, but due to policies and norms many such initiatives have made efforts and abjured. The concept of WLCI’s lucrative and effective approach is to create communication between the industry and academia. The difference in this approach was that it actually succeeded. For the last 2 decades, students graduating for WLC programs are taught, trained and placed to their best of abilities in reputed corporate. The ‘Work and Earn’ program helps the students giving them the chance to taste the industry environment by enrolling them for internships for the industry alongside the program. This helps the students from avoiding the abject un-employment experiences that an average students faces as a fresher. The Employers Council on the other hand focuses on creating a curriculum that can arm the student with skills that fulfills demands in line with industry trends. The platform serves as a forum for professionals from diverse professional backgrounds to discuss and accumulate an overall package that students need to be taught to transition into the industry at ease. WLCI fashion school is a leading institute for fashion designing in India. The college has in the last decade some very formidable names in the industry. Many fashion houses and designers desire only WLC fashion design students for their workforce. The college has indeed created an impact on the fashion circle. These accomplishments can be attributed to WLCs lucrative approach to teaching and curriculum. The college focuses majorly on practical experience rather than theoretical knowledge. This approach helps students to come into ease with industry expectations, team work and delivering on deadlines. These can make or break any designer. The platform also focuses on helping students make industry contacts so as they are able to take distinct steps in their career. This practice ensures that our students never go out of work and can remain to follow their passion as desired. The college also plays host to its very own fashion show hosted each year by the name of Chimera. The platform helps our students to showcase the best of their designs and provides an overall experience of being a graphic designer. WLC Design College has been a great contributing factor to the Indian design industry. Many of our students have been a part of major design projects throughout the country. Their success can be attributed to the careful execution our graphic design programs. 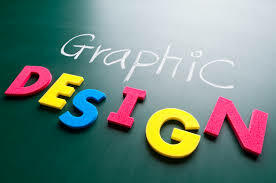 Graphic designing is a subject that may not be theoretically taught to a student. There are no specific laws that govern the concept and there is high amount of competition at ll times. Furthermore the uncertainty of a project being successful always looming, there is a different approach that needs to be undertaken to build a solid foundation for the student. Practical training forms the core for this diverse training. The students are made to work on different projects with various corporate. This is where they learn to deal with work pressure, team management and effective communication of ideas. During classroom learning, the students are exposed to a variety of styles of creating design and taught the basic laws of great designing. The students are also given access to best software for designing in the world to truly unleash their creative potential. 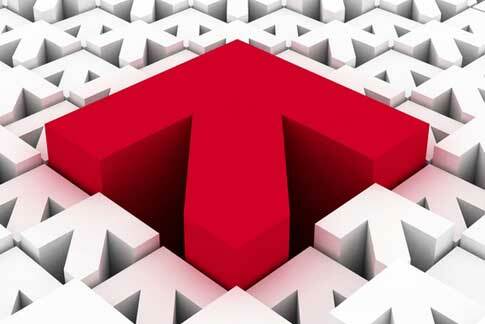 WLC College has helped a lot of students in building successful careers in graphic designing. You can know more about the course at WLC Design College.